Official Historian/Biographer for RANKIN/BASS PRODUCTIONS. His first book, THE ENCHANTED WORLD OF RANKIN/BASS: A PORTFOLIO (TIGER MOUNTAIN PRESS) has sold out of several editions. THE MAKING OF THE RANKIN/BASS HOLIDAY CLASSIC: RUDOLPH THE RED-NOSED REINDEER (MISER BROS PRESS), which goes into detail of how a Rankin/Bass TV Special was made, also sold out of it’s first edition. Anniversary of Rankin/Bass’ The Year Without A Santa Claus. 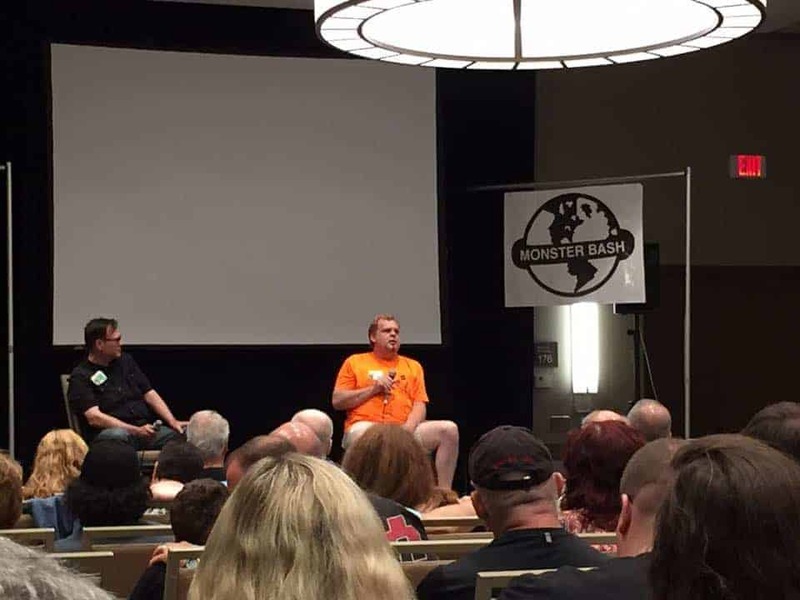 In the Fall of 2011, Rick wrote a book on his favorite RANKIN/BASS feature film MAD MONSTER PARTY (MISER BROS PRESS). It quickly sold out of two printings and was beautifully designed by Wes Garlatz. In 2012, Arthur Rankin, Jr., Wes Garlatz and Rick decided to celebrate the 15th ANNIVERSARY of THE ENCHANTED WORLD OF RANKIN/BASS: A PORTFOLIO with a lavish, high quality, expanded, large hardcover coffee table edition, which is the ultimate celebration of Arthur Rankin, Jr. and Jules Bass’ films. Sadly, Arthur Rankin, Jr. passed away in January of 2014, and on what would have been his 90th Birthday – friends and family celebrated his life in Bermuda. Shortly after this celebration, Rick and Wes Garlatz released the softcover edition of The Arthur Rankin, Jr. Scrapbook: The Birth of Animagic, which features a celebration of Arthur’s life with pictures of friends and family from Bermuda and New York and Arthur’s original scrapbook he kept in Japan at Dentsu studios. The softcover sold out during the holiday season of 2014 and a hardcover editionwas released in July of 2015 with 24 additional pages. All four books are available at www.miserbros.com. For the Holiday season of 2018, Rick and Wes are releasing the book The Making of Rankin/Bass’ Santa Claus Is Comin’ To Town and The Daydreamer (Miser Bros Press). Rick’s degree is in illustration and this came in handy when ENESCO CORPORATION called him up at a book signing and asked him to design and give direction for their classic RANKIN/BASS figurine lines. In 2003, he Co-Produced the CD soundtrack release of RANKIN/BASS’ SANTA CLAUS IS COMIN’ TO TOWN/FROSTY THE SNOWMAN with Patrick Milligan at WARNER MUSIC GROUP/RHINO and Co-Produced documentaries for the blu ray releases of The Year Without A Santa Claus and Mad Monster Party. He has consulted on many of the toy lines and has appeared at several pop culture conventions and book stores with www.timeandspacetoys.com. 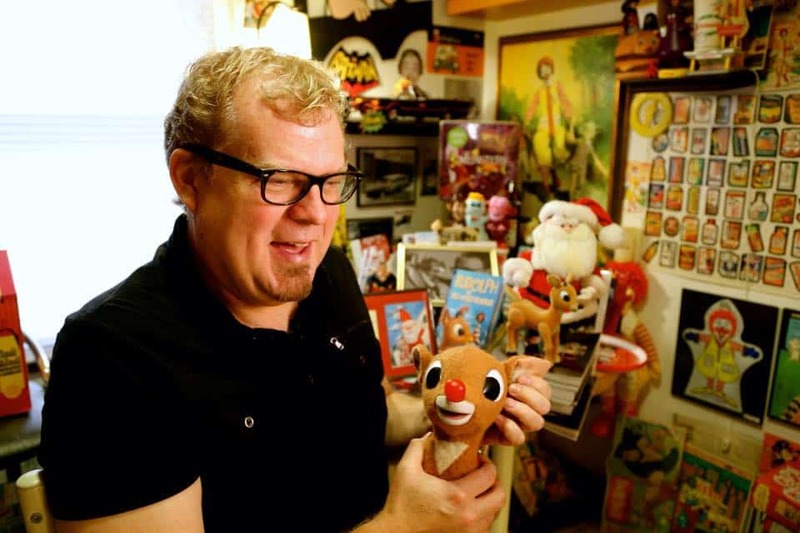 The restored ANIMAGIC figures of RUDOLPH and SANTA, were a result of his friendship with Kevin Kriess at TIME & SPACE and his pals at www.screen-novelties.com. 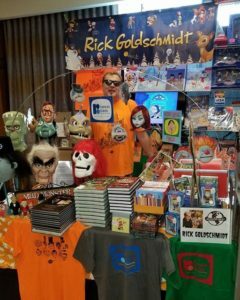 At Christmas time, Rick appears on WLS radio, WGN radio, WGN-TV, CBS NEWS, ABC 7 CHICAGO TV, CBS EVENING NEWS, SVENGOOLIE on ME TV, and many radio and TV stations across the country. There are plans to make a feature length Rankin/Bass documentary. In 2017, Rick collaborated with his friend artist Shag to celebrate the 50th Anniversary of Rankin/Bass’ Mad Monster Party with a Shag print release and appearances at his stores in West Hollywood and Palm Springs, CA. . In addition to his RANKIN/BASS work, he is the lead singer and guitarist for the band THE STARVING ARTISTS and has recorded with members of GIN BLOSSOMS. His music is available on ITUNES and other places, via his CD release Rick Goldschmidt Sings.